Company Soilfood, which was awarded in the New Wood competition, has developed material for soil improving from the sideflows of forest industry to replace non-renewable nutrients, such as phosphorus. Adding wood fibres in the soil improves its ability to restrain nutrients and it also decreases emissions from agriculture. In the picture you can see spreading the Soilfood soil improvement material. Arranged for the third time, the New Wood competition looked for new products made of wood fibre. The winner was Woodly, a wood-based wrapping material for packaging fresh food, for example, developed by the company Welmu International. Entries submitted to the competition were not required to have reached the commercial stage, but they did have to be commercially viable. The evaluation criteria stated that they must respond to one of the New Wood challenges, they had to have social significance and commercial potential, meet the standards of sustainable development and incorporate an innovative use of wood. Winners were sought in five categories. The categories were Scarce Resources, Consumer Awareness, Urbanization, Changes in the Population Structure and Digitalisation. Woodly was deemed the best entry in the Consumer Awareness category, and it also won the overall New Wood competition. A total of 16 proposals were submitted. No entries were received in the Digitalisation category this year. 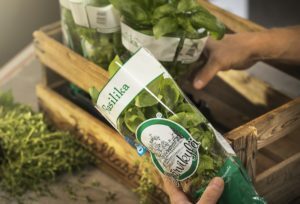 One of the first utilisers of pulp-based Woodly developed by Welmu International is Järvikylä company, which grows potted herbs and salads. The company will bring the first Woodly packages in the groceries next year. The principal material of Woodly is coniferous pulp. It is a clear film, resembling traditional oil-based plastic. The film is still at the product development stage, but will have several different uses. It is possible that Woodly may be seen in the shops as early as next year, now that Welmu has concluded an agreement with the Järvikylä company, a producer of potted salad greens and herbs. In fairly short order, therefore, a customer looking for a pot of basilica could buy one that is not packaged in traditional oil-based plastic. In addition to the use as wrapping material Woodly has many other functions. Jaakko Kaminen, CEO of Welmu International, says Woodly is being made on three different production lines. One of them manufactures wrapping materials, such as the one used by Järvikylä, one manufactures injection moulded products such as bottles and cases, while the third one manufactures coating material for cartons and papers used for fast food, for example. Woodly’s advantage is that it can be produced on the same production lines as traditional plastic. Thus, significant investments or changes in the production processes are not necessary. ”From the beginning, it was important for us that new production investments would not be needed. This means that the environmental impact will be positive, as we will be able to market the material across the widest possible spectrum,” Kaminen says. 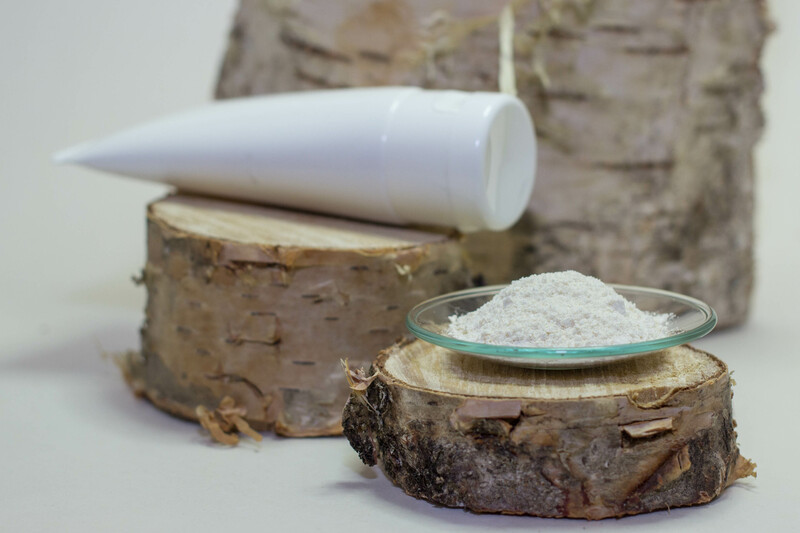 Innomost produces raw materials for cosmetics from birch bark. 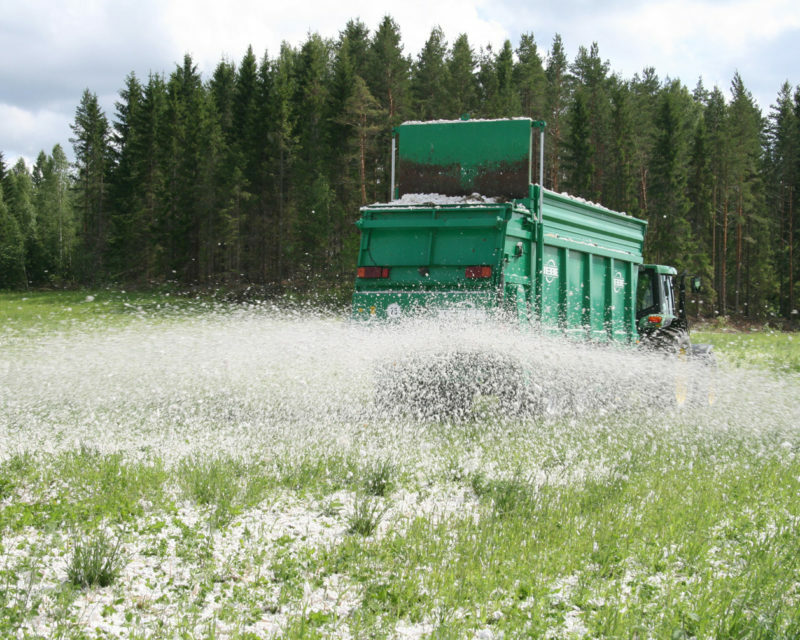 With the help of them it is possible to replace raw materials originating to agricultural fields suitable for food production, as well as raw materials coming from food production. The competition jury noted that grocery shops sell plenty of items containing plastics for which a replacement should be found. ”Woodly has great market potential. It is easy to export to international markets,” says Susanna Winqvist, Project Manager of the New Wood project. The competition is of great significance for Welmu as well. The company has not yet marketed its product very intensively, but the recognition from the competition will be of great help. ”This is a recognition of out work and a legitimisation of our innovation. It’s valuable for us in lots of ways,” Kaminen says. In addition to Welmu, three other companies were awarded in the competition. In the Urbanisation category, the Woodio company was awarded for its wood-based, waterproof composite. 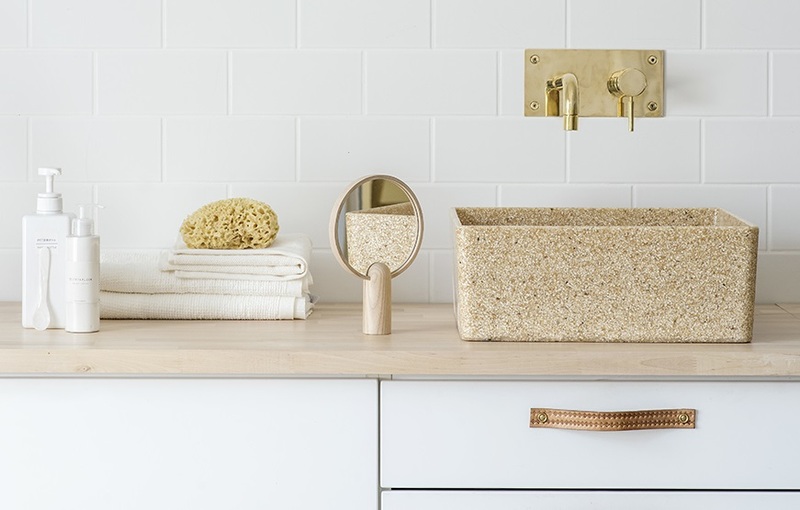 The first application is a washbasin. In the Changes in the Population Structure category, the award was given to Innomost, which produces raw materials for cosmetics from birch bark. The winner in the Scarce Resource category was Soilfood, which has developed soil improvement fibres from the sidestreams of forest industry to replace non-renewable nutrient fertilizers in agriculture, one of them being phosphorus. The New Wood project has been up and running for five years. Its aim is to showcase the things we can achieve by using wood. Its main target groups are influential individuals and bodies and political decision-makers. Because wood-based bioeconomy is a wide-ranging phenomenon difficult to gain an overview of, New Wood strives to illustrate its potential by concrete examples. “We talk about the possibilities of wood-based bioeconomy, in addition to such things as paper, wood construction and biofuels. Our job is to point out that many of the solutions already exist, they are not just visions for the future,” Winqvist says. The New Wood competition is organised in order to look for wood-based solutions and to bring together the different actors. During the last two years, the project has been joined by new and innovative startup companies in particular. ”It is easier to take things and stories forward when you work together. Co-operation is the supporting force,” says Winqvist. Woodio has developed a waterproof wood composite, which can be used in interiors and constructing. Its first application is a washbasin and such washbasins already now are in use in Arctic Treehouse Hotel in Rovaniemi, Finnish Lapland. The composite is mainly made of renewable materials and after use it can be utilised as source of bioenergy. Edit, 11.12.2018: Changed the sentence telling about financing of Finnish Forest Foundation. Finnish Forest Foundation is the main financier of the New Wood project.